Welcome to our FlightSim.Com Store, a place where you can find all the cool add-ons for your simulator. 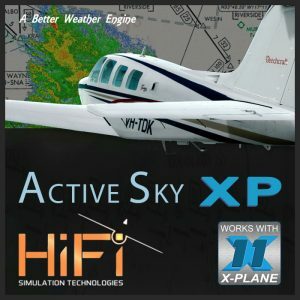 Founded in 1996, FlightSim.Com is the original and oldest flight simulator community on the Internet. Now, we add to our services with store.FlightSim.com, giving you the ability to purchase the best flightsim products from the same people you turn to for news, forums, articles and freeware. Your flight simulator software can do so much more when you add on to it. Advance your flying skills with a new airplane. Add some new scenery and visit a new part of the world. Challenge yourself with adventures and missions. You’ll also find a variety of utilities to enhance your flying. Whether you are new to aviation or an experienced flyer, there’s always something new to try and your simulator can be endlessly expanded. Shop for products in our flight simulator store in several ways. Our home page highlights new products and featured products. Use the menus to browse through products by simulator and category. Search is also available when you know just what you are looking for. You can also sign up for our mailing list and get receive weekly notices on what’s new. When you’re done shopping be sure to also visit FlightSim.Com and join the virtual aviation community there. There you will find the latest news and lots more. Read the feature articles to learn more about flight simulation. Also, join the forums to ask questions and learn from your fellow flightsimmers. Please note that FlightSim.Com and Store.FlightSm.Com are not associated with any other web sites, stores or services, despite there being some others with confusingly similar names.